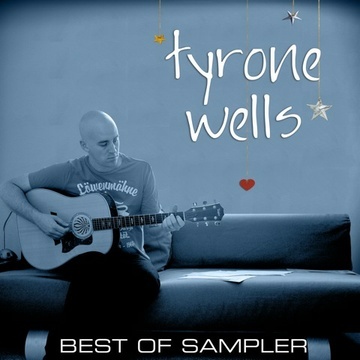 The recording of This Love found Tyrone Wells in the studio on and off throughout most of 2012. Tyrone teamed up again with producer, Michael "Smidi" Smith. Smidi produced nearly half of Tyrone's sophomore major label release (Universal Republic) entitled, Remain, as well as being responsible for 7 of the 8 songs on Tyrone's acoustic EP Metal & Wood. About This Love, Tyrone says, "I did my best to make a mostly acoustic record. I always find myself listening to acoustic music, so I did my best to build the record around the acoustic guitar and make an organic sounding CD that I would enjoy listening to. Smidi was the perfect choice to produce this record. Smidi does a fantastic job of not getting in the way and helping really serve each song." Coming off of his full length release, Where We Meet, in early 2012, Tyrone anticipates great things for This Love. Where We Meet debuted at number 1 on the iTunes singer-songwriter chart, as well as top 10 on the overall iTunes chart. Check www.tyronewells.com/tour for upcoming show info.